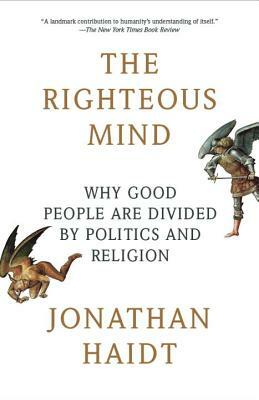 Haidt's book could be a prototype tool for bridging the great divides between groups whose behaviors may have outlived their evolutionary advantages. Haidt provides his readers with interesting data regarding the evolution of human morality. I think the first 2 parts of the book are the most appealing. The last part of the book summarizes his understanding of human evolution. Some parts I agree with him others not that much. Still, is a good reading.